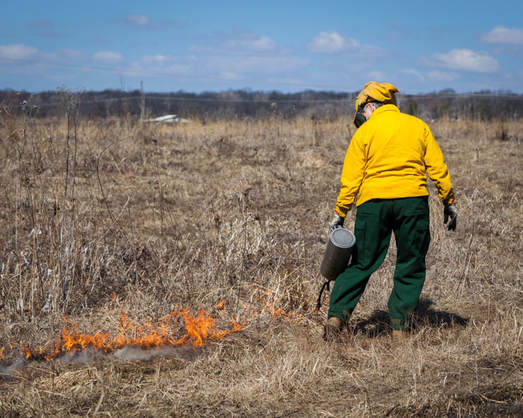 How do I Volunteer to do Prescribed Fire with MRCP? The following MRCP Fire Crew training and equipment description is new. There will be a three-year transition period ending in December 2020. 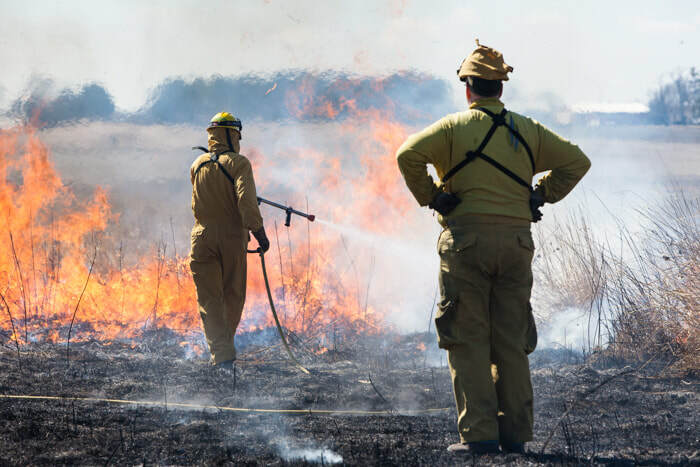 Also accepted is the Midwest Ecological Prescription Burn Crew Member Training, or an Agency or Fire Department’s equivalent level of training as accepted by the MRCP Fire Coordinator or MRCP Burn Boss. All MRCP fire crew will be encouraged to seek other training and experience opportunities. A person short on formal training can be on a fire as a Trainee if they are paired with a mentor and share that person’s task on the fire. All fire crew will sign a one time MRCP liability waiver. Fire crew members will have reasonable physical fitness, and be able to perform the functions of a typical fire crew member. For those less physically fit, other positions they might do are a fire observer, fire sitter, smoke lookout, community liaison, food or drinks provider, or help set up or maintain fire equipment. Annually, MRCP will host a safety review. MRCP fire crew will attend this safety review or attend one with another agency as approved by the Fire Coordinator or Burn Boss. 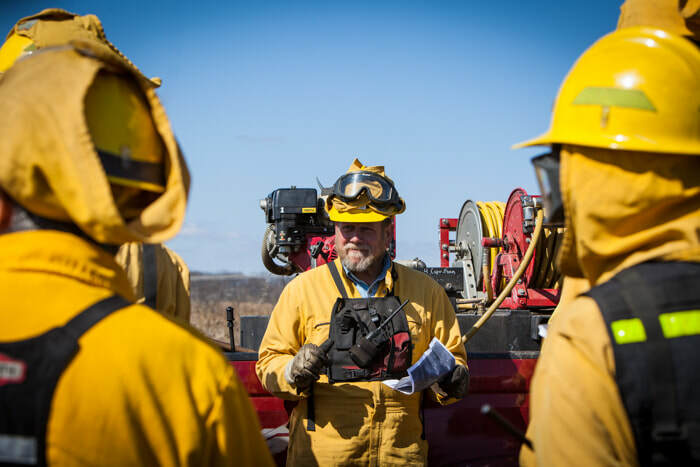 All fire crew will be safely attired with an outer layer of Nomex or other fire retardant clothing that covers the legs, torso and arms. Under layers should be cotton or wool or fire retardant. A helmet with a Nomex face and neck shroud. Boots will be all leather with hard Vibrum type soles. Prescription lenses or safety glasses will be worn.